For the Decca album, see Christmas Music (album). "Christmas album" redirects here. For similar terms, see Christmas Album (disambiguation). For the Mel Tormé composition, see The Christmas Song. For other uses, see Christmas Song (disambiguation) and Christmas Songs (disambiguation). When in May 1660 Charles II restored the Stuarts to the throne, the people of England once again practiced the public singing of Christmas carols as part of the revival of Christmas customs, sanctioned by the king's own celebrations. William Sandys's Christmas Carols Ancient and Modern (1833), contained the first appearance in print of many now-classic English carols, and contributed to the mid-Victorian revival of the holiday. Singing carols in church was instituted on Christmas Eve 1880 (Nine Lessons and Carols) in Truro Cathedral, Cornwall, England, which is now seen in churches all over the world. According to one of the only observational research studies of Christmas caroling, Christmas observance and caroling traditions vary considerably between nations in the 21st century, while the actual sources and meanings of even high-profile songs are commonly misattributed, and the motivations for carol singing can in some settings be as much associated with family tradition and national cultural heritage as with religious beliefs. Christmas festivities, including music, are also celebrated in a more secular fashion by such institutions as the Santa Claus Village, in Rovaniemi, Finland. The tradition of singing Christmas carols in return for alms or charity began in England in the seventeenth century after the Restoration. 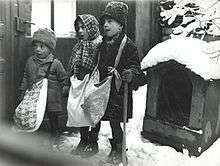 Town musicians or 'waits' were licensed to collect money in the streets in the weeks preceding Christmas, the custom spread throughout the population by the eighteenth and nineteenth centuries up to the present day. Also from the seventeenth century, there was the English custom, predominantly involving women, of taking a wassail bowl to their neighbours to solicit gifts, accompanied by carols. Despite this long history, many Christmas carols date only from the nineteenth century onwards, with the exception of songs such as the Wexford Carol, "God Rest You Merry Gentlemen", "As I Sat on a Sunny Bank", "The Holly and the Ivy," the Coventry Carol and I Saw Three Ships. "A collection of traditional Christmas music"
Popular secular Christmas songs from mid-19th century America include "Jingle Bells", "Jolly Old Saint Nicholas" and "Up on the House Top". More recent, copyrighted carols about the Nativity include "I Wonder as I Wander" (1933), "Mary's Boy Child" (1956), "Carol of the Drum" ("Little Drummer Boy") (1941), "Do You Hear What I Hear?" (1962), and "Mary, Did You Know?" (1984), "Little Donkey" by Eric Boswell (1959) and the "Calypso Carol" by Michael Perry (1964). Published sheet music of Christmas music over the centuries has been available for centuries. One of the earliest collections of printed Christmas music was Piae Cantiones, a Finnish songbook first published in 1582 which contained a number of songs that have survived today as well-known Christmas carols. The publication of Christmas music books in the 19th century, such as Christmas Carols, New and Old (Bramley and Stainer, 1871), played an important role in widening the popular appeal of carols. In the 20th century, Oxford University Press (OUP) published some highly successful Christmas music collections such as The Oxford Book of Carols (Martin Shaw, Ralph Vaughan Williams and Percy Dearmer, 1928), which revived a number of early folk songs and established them as modern standard carols. This was followed by the bestselling Carols for Choirs series (David Willcocks, Reginald Jacques and John Rutter), first published in 1961 and now available in a five volumes. The popular books have proved to be a popular resource for choirs and church congregations in the English-speaking world, and remain in print today. More recently popular Christmas songs—often Christmas songs introduced in theater, television, film, or other entertainment media—tend to be specifically about Christmas, or have a wintertime theme. They are typically not overtly religious. The most popular set of these titles—heard over airwaves, on the Internet, in shopping centers malls, in elevators and lobbies, even on the street during the Christmas season—have been composed and performed from the 1930s onward. "Jingle Bells", "Jolly Old Saint Nicholas", and "Up on the House Top", however, date from the mid-19th century. "For Americans and many others around the world, these classic lyrics and melodies are inseparable from the celebration of the holiday season – brightening lives year after year, and serving as a cornerstone of the ASCAP repertory." Of these, the oldest songs are "Santa Claus Is Coming to Town" and "Winter Wonderland", both published in 1934—though some element of the song came along earlier for two titles (the source or music). Almost a dozen were released in the 1940s, the next largest group coming in the 1950s. Only two became popular in the 1960s; one each in the 1970s and 1980s. "Do They Know It's Christmas? (Feed the World)" by Midge Ure and Bob Geldof is the only relatively new one on the list: "Recorded in 1984 by Band Aid—an all-star band of British musicians—this benefit single assisted famine relief efforts in Ethiopia, and sold millions of copies over the '84 holiday season." Christmas songs introduced in theater, television, and film include "White Christmas" from Holiday Inn (1942), "Have Yourself a Merry Little Christmas" from Meet Me in St. Louis (1944), and "Silver Bells" in The Lemon Drop Kid (1950). Elvis Presley introduced his cover of "Blue Christmas", and debuted the Leiber-Stoller "Santa Claus Is Back in Town", on his first Christmas album in 1957—along with versions of other standards such as "Here Comes Santa Claus", "White Christmas", and "I'll Be Home for Christmas". Bruce Springsteen and The Jackson Five recorded separate versions of "Santa Claus Is Coming to Town", as well as other Christmas titles. The unlikely pairing of Bing Crosby with David Bowie on the impromptu "The Little Drummer Boy/Peace on Earth" created one of the most popular Christmas duets ever recorded. Other popular Christmas songs often heard include: "I've Got My Love to Keep Me Warm" (1937), "Happy Holiday" (1942), "Baby, It's Cold Outside" (1944), "Merry Christmas Baby" (1947), "(Everybody's Waitin' for) The Man with the Bag" (1950) —all recorded by a number of acts. Bing Crosby and the Andrews Sisters had a hit with "Mele Kalikimaka" in 1950, and Crosby introduced "Marshmallow World" (backed by The Lee Gordon Singers and the Sonny Burke Orchestra) in the same year. Bing Crosby also had recorded "Christmas in Killarney" in 1951, that same year "Suzy Snowflake" was released and recorded by Rosemary Clooney in 1951. Frank Sinatra put "The Christmas Waltz" on the B-side of his version of "White Christmas" in 1954, and included "Mistletoe and Holly" on his 1957 album A Jolly Christmas From Frank Sinatra. Chuck Berry released "Run Rudolph Run" in 1958. In a 2007 survey, of United States radio listeners, the most liked songs were standards such as Bing Crosby's "White Christmas" (1942), Nat King Cole's "The Christmas Song" (1946), and Burl Ives' "A Holly Jolly Christmas" (1965). Other favorites like "Rockin' Around the Christmas Tree" (Brenda Lee, 1958), "Jingle Bell Rock" (Bobby Helms, 1957) and John Lennon and Yoko Ono's "Happy Xmas" (1971), scored well in one study. Also "loved" were Johnny Mathis' "Do You Hear What I Hear?" and Harry Simeone Chorale's "Little Drummer Boy". The newest song in one survey's top 10 was Mariah Carey's "All I Want for Christmas Is You" (1994); for another it was Lennon and Ono's. Rolling Stone magazine ranked Love's version of "Christmas (Baby Please Come Home)" (1963) first on its list of The Greatest Rock and Roll Christmas Songs in December 2010. Carey's "All I Want for Christmas Is You", co-written by Carey and Walter Afanasieff, was No. 1 on Billboard's Holiday Digital Songs chart in December 2013. "Fairytale of New York" by The Pogues is cited as the best Christmas song of all time in various television, radio and magazine related polls in the U.K. and Ireland. Johnny Marks has three top Christmas songs, the most for any writer—"Rudolph the Red-Nosed Reindeer", "Rockin' Around the Christmas Tree", and "A Holly Jolly Christmas". By far the most recorded Christmas song is "White Christmas" by Irving Berlin (born Israel Isidore Beilin in Russia)—who also wrote "Happy Holiday"—with well over 500 versions in dozens of languages. "Shchedryk," a Ukrainian tune celebrating springtime, was adapted in 1936 with English lyrics to become the Christmas carol "Carol of the Bells." Borrowing from the title of the Scottish New Year standard "Auld Lang Syne," Dan Fogelberg's "Same Old Lang Syne" (released 1980) tells a Christmas Eve story and is now frequently played during the holiday season. Perry Como famously sang Franz Schubert's setting of "Ave Maria" in his televised Christmas special each year, including the song on The Perry Como Christmas Album (1968) which "became a staple of family holiday record collections." "Jingle Bells", first published under the title "One Horse Open Sleigh" in 1857, was originally associated with Thanksgiving rather than Christmas. Radio broadcasting of Christmas music has been around for several decades in the United States and elsewhere. Traditionally, U.S. radio stations (particularly those with such formats as adult contemporary, adult standards, easy listening, oldies, or beautiful music) began adding some Christmas-themed selections to their regular playlists shortly after Thanksgiving each year, typically culminating in 36–48 hours of continuous Christmas music between December 24–25. Since the mid-1990s, it has become increasingly common for stations to switch their programming to continuous Christmas music around Thanksgiving, or earlier. This practice became even more widespread after 9/11, when many radio stations across the U.S. sought a sort of musical "comfort food". As a part of a phenomenon known as "Christmas creep", radio stations—responsible for so much of Christmas music broadcasting, popularization, and appreciation—are "going Christmas" earlier each year. Many stations now start rolling out holiday music in early November instead of Thanksgiving or Black Friday (and a select few, such as WEZW since 2011, have earned a reputation for beginning their Christmas music as early as October), because programmers "think that listeners will stick with the first station to change to a seasonal theme." About 400 radio stations "across the U.S. play Christmas music around the clock." In Chicago, WLIT-FM saw its share of all radio listeners grow from a 2.9/3.6 share earlier in the year to 9.3 during the Nov. 28 to Dec. 11, 2003 Arbitron rating period. A 2002 Arbitron ratings study confirmed holiday-music surges at stations around the country. The 24/7 all-Christmas format has been generally successful due in large part to Christmas creep. In the United States, many radio stations begin airing an all-Christmas format by Thanksgiving weekend, with others starting the Friday one week prior and some making the switch as early as November 1. As of November 24, 2015 (two days before Thanksgiving), there were over 244 commercial U.S. radio stations airing 24/7 Christmas music. "There's no other programming tactic in radio history that consistently delivers ratings increases better than Christmas music . . playing Christmas music is all about having a larger audience after Christmas than you did before. People who find the station often stick around after the holidays and discover a new favorite station." Adult contemporary, oldies, and country listeners tend to adjust better to an all-Christmas switch than do listeners of other formats such as hip-hop or hard rock. However: "Nine times out of 10, many new listeners pour in, outweighing the listeners that do opt out," says Greg Strassell, senior vice president of programming at CBS Radio. However, this may not always transition well into financial success, since advertisers do not universally recognise Arbitron's holiday ratings book. Although the Christmas season by definition runs until January 6 (Epiphany), and is observed until at least New Year's Eve by the public, almost all broadcasters skip the last Twelve Days of Christmas, abruptly ending all holiday music at or even before midnight on December 25, and not playing a single Christmas song again until the next November. (Several radio stations actually promote this, with ads that proudly proclaim to listeners weary of the Christmas music that the station's regular format will indeed return on December 26, as soon as Christmas Day is over.) It is not uncommon for broadcasters to market the twelve-day period preceding Christmas (December 14 to 25) as the "Twelve Days of Christmas", contrary to the traditional definition. One reason for this is that much popular Christmas music is so closely associated with Christmas Day itself that it would be difficult or impossible to play after December 25 without bringing up references that the broadcaster may wish to ignore (such as those that involve Santa Claus, who has already come and gone by Christmas morning). On occasion, some Christmas music stations will continue to play at least some Christmas music through the weekend following Christmas, or even through New Year's Day (particularly when stunting in anticipation of a format change; see below), but never any later. Christmas music is a popular stunt format, used when a station is transitioning to a different format. For instance, a rock music station changing to a rhythmic oldies format will often air Christmas music in-between. This can occur at times when Christmas music seems out of place, such as in summer. The end of the calendar year is a common time of year for format switches. As such, Christmas music may be aired for a prolonged period of time from as early as October and/or extend as late as New Year's Day, while the station prepares the switch. Conversely, when 94.9 in Atlanta changed from adult contemporary to country music in the middle of December 2006, it abruptly stopped playing its annual Christmas music a week before the holiday. A brief 24/7 Christmas music format is also common during Christmas in July stunts. Outside of traditional AM/FM radio, satellite radio providers XM and Sirius typically devote multiple channels to different genres of Christmas music during the holiday season. Numerous Internet radio services also offer Christmas music channels, some of them available year-round. Citadel Media produced The Christmas Channel, a syndicated 24-hour radio network, during the holiday season in past years (though in 2010, Citadel instead included Christmas music on its regular Classic Hits network). Music Choice offers nonstop holiday music to its digital cable, cable modem, and mobile phone subscribers between November 1 and New Year's Day on its "Sounds of the Seasons" (traditional), "R&B" (soul), "Tropicales" (Latin), and "Soft Rock" (contemporary) channels. DMX provides holiday music as part of its SonicTap music service for digital cable and DirecTV subscribers, as does Dish Network via its in-house Dish CD music channels. Services such as Muzak also distribute Christmas music to retail stores for use as in-store background music during the holidays. Included in the 2009 and 2008 lists are such other titles as Jona Lewie's "Stop the Cavalry", Bruce Springsteen's "Santa Claus is Coming to Town", Wizzard's "I Wish It Could Be Christmas Every Day", Elton John's "Step into Christmas", and Mud's "Lonely This Christmas". The best Christmas song "to get adults and children in the festive spirit for the party season in 2016" was judged by the Mirror to be "Fairytale of New York". In Britain and Ireland, the terms "Christmas number one single" and "Christmas number two single" denote songs released around the time of the Christmas holiday and that reach the top of the UK Singles Chart and/or Irish Singles Chart respectively. Because of the two countries' proximity to each other, the Irish No. 1 is usually the same as the British No. 1 or No. 2. Though some of these songs do tend to develop an association with Christmas or the holiday season, such an association tends to be much shorter lived than the more traditionally themed Christmas songs such as "I Wish It Could Be Christmas Everyday", "Mistletoe and Wine" and "Merry Christmas Everyone", and the songs may have nothing to do with Christmas or even winter. Past Christmas number-ones include children's songs such as "Mr Blobby" (#1, 1993) and the theme from Bob the Builder (#1, 2000), novelty songs such as Benny Hill's "Ernie" (#1, 1971) and South Park's "Chocolate Salty Balls" (#2, 1998), and several examples of standard pop fare that would likely be just as popular outside the holiday season. Some songs will be "tweaked" to make them more related to Christmas. This is almost exclusively a British cultural phenomenon; some notable and longer-lasting examples include Band Aid's "Do They Know It's Christmas?" (#1, 1985, the second biggest selling single in UK Chart history; two re-recordings also hit #1 in 1989 and 2004), Slade's "Merry Xmas Everybody" (#1, 1973) and Wham! 's "Last Christmas" (#2, 1984). In 2002, Popstars The Rivals produced the top three singles on the British Christmas charts. The "rival" groups produced by the series—(the girl group Girls Aloud and the boy band One True Voice)—finished first and second respectively on the charts. Failed contestants The Cheeky Girls charted with a novelty hit at third. Briton Will Young, winner of the first Pop Idol, charted at the top of the Irish charts in 2003. The winning song from the December-ending The X Factor has earned the Christmas number one in at least one of the two countries every year since 2005, and in both countries four times out of the last seven. Each year since 2008 has seen protest campaigns to outsell the overly-popular X Factor single and prevent it from reaching number one. In 2009, "Killing in the Name" by Rage Against the Machine reached number one in the UK instead of that year's X Factor winner, Joe McElderry. McElderry did reach number one in Ireland. A fractured campaign to unseat the 2010 X Factor winner, plus a delay in delivery of The Rubberbandits' "Horse Outside" to stores in Ireland, resulted in X Factor winner Matt Cardle earning the Christmas number one in both countries. In 2011, "Wherever You Are", the single from a choir of military wives assembled by the TV series The Choir, earned the Christmas number-one single in Britain—upsettingX Factor winners Little Mix. With the Military Wives Choir single not being released in Ireland, Little Mix won Christmas number-one in Ireland that year. In 2012 the Christmas No. 1 was a cover of "He Ain't Heavy, He's My Brother" from an ensemble of Liverpudlian celebrities in commemoration of the 1989 Hillsborough Disaster. X Factor winner Sam Bailey's single won the Christmas number-one competition in both countries in 2013. Situated in the southern hemisphere, where seasons are reversed from the northern, the heat of early summer in Australia affects the way Christmas is celebrated and how northern hemisphere Christmas traditions are followed. Australians generally spend Christmas out of doors, going to the beach for the day, or heading to camp grounds for a vacation. International visitors to Sydney at Christmastime often go to Bondi Beach where tens of thousands gather on Christmas Day. The tradition of an Australian Christmas Eve carol service lit by candles, started in 1937 by radio announcer Norman Banks, has taken place in Melbourne annually since then. Carols by Candlelight events can be "huge gatherings . . televised live throughout the country" or smaller "local community and church events." Carols in the Domain in Sydney is now a "popular platform for the stars of stage and music." ↑ Miles, Clement (1976). Christmas customs and traditions. Courier Dover Publications. pp. 47–48. ISBN 0-486-23354-5. 1 2 3 Hutton, Ronald (1996). The Stations of the Sun. Oxford. ↑ Shoemaker, Alfred L. (1999) . Christmas in Pennsylvania. Mechanicsburg, PA. p. xvii. ↑ "Festival of Nine Lessons and Carols". BBC. December 16, 2005. ↑ David G. Hebert, Alexis Kallio and Albi Odendaal (2012). "Not So Silent Night: Tradition, Transformation, and Cultural Understandings of Christmas Music Events in Helsinki, Finland". Ethnomusicology Forum, 21(3), pp.402-423. ↑ Simpson, Jacqueline; Roud, Steve (2000). Oxford Dictionary of English Folklore. Oxford. p. 64. ↑ "Carol Histories and Track List". pair.com. Retrieved December 18, 2011. 1 2 Heffer, Simon (2014). "3. A Search for a Style". 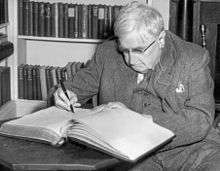 Vaughan Williams. Faber & Faber. ISBN 9780571315482. Retrieved 10 October 2016. ↑ Studwell, William E.; Jones, Dorothy E. (1998). Publishing Glad Tidings : Essays on Christmas Music. New York [u.a. ]: Haworth Press. ISBN 9780789003980. Retrieved 11 October 2016. ↑ Shaw, Martin; Dearmer, Percy; Vaughan Williams, Ralph, eds. (1964). The Oxford Book of Carols. Oxford: Oxford University Press. ISBN 9780193533158. ↑ "Christopher Morris, musician - obituary". Daily Telegraph. Retrieved 4 October 2016. 1 2 3 "ASCAP Announces Top 25 Holiday Songs – "The Christmas Song (Chestnuts Roasting...)" Tops List". Ascap.com. Retrieved December 18, 2011. ↑ Bing and Bowie: An Odd Story of Holiday Harmony by Paul Farhi, Washington Post; December 20, 2006. ↑ "Must Be Santa". BMI Repertoire. Broadcast Music Incorporated. Retrieved 3 December 2011. ↑ "Reviews Of This Week's Singles". The Billboard. 7 November 1960. p. 46. ISSN 0006-2510. Retrieved 3 December 2011. ↑ "Tommy Steele". UK Chart Archive. Official Charts Company. Retrieved 3 December 2011. ↑ "Tomorrow's Hits: Shayna Leigh, 'Wake Me When It's Christmas'--Shayna's Holiday Spirit". Billboard.com. 5 December 2014. Retrieved 11 December 2014. 1 2 "'Grandma' got run over by the ratings, dear: Radio stations translate our love-hate relationship with holiday tunes into seasonal playlists" Chicago Tribune; December 18, 2007. ↑ "All I Want for Christmas Is Not To Hear That Song" by Paul Farhi, Washington Post; December 14, 2007. ↑ Greene, Andy. "The Greatest Rock and Roll Christmas Songs". Rolling Stone. Jann Wenner. Retrieved December 23, 2010. ↑ Klimek, Chris (9 December 2013). "All I Want for Christmas Is a New Christmas Song 2.5k 342 252 The holiday-song canon is closed. Why?". Slate. Retrieved 21 December 2013. ↑ "Pogues track wins Christmas poll". BBC News. December 16, 2004. ↑ Fonseca, Corinna Da (November 28, 2011). "Dreaming of a Jewish Christmas". The Wall Street Journal. Retrieved December 18, 2011. ↑ "Jews among musicians with Christmas spirit". The San Francisco Chronicle. December 26, 2009. Retrieved December 18, 2011. ↑ "Bob Dylan joins long list of Jewish musicians performing Christmas music". Los Angeles Times. December 23, 1999. Retrieved December 18, 2011. ↑ Bloom, Nate. "The Jews Who Wrote Christmas Songs". InterfaithFamily.com. Retrieved December 18, 2011. ↑ Bloom, Nate (December 2012). "The Jews Who Wrote Christmas Songs (2012)". InterfaithFamily. Retrieved 23 December 2013. ↑ David A. Graham. "12 Days of Christmas Songs: 'Joy to the World' Isn't Supposed to Be One - The Atlantic". The Atlantic. ↑ Balke, Jeff (19 December 2011). "Classic Christmas: The Perry Como Christmas Album". Houston Press Blog. Retrieved 23 December 2013. ↑ Jingle Bells: History of Christmas Carols by Espie Estrella. ↑ "How 'Jingle Bells' by the Singing Dogs Changed Music Forever" by William Weir, The Atlantic, DEC 20, 2010. ↑ Tribute Songs at The Millennium Effect. ↑ Sieczkowski, Cavan (17 November 2014). "Kristen Bell's 'Text Me Merry Christmas' Is A New Kind Of Holiday Tune". The Huffington Post. Retrieved 12 December 2014. ↑ "Radio Christmas returns to Amersham" Amersham and Little Chalfont: Your Community, by Lawrence Poole; Dec 15, 2011. ↑ Tucker, Ken (May 13, 2005). "The Christmas Format: Santa Claus Is Coming To Town". Radio Monitor. AllBusiness. ↑ Colin McKay (December 19, 2003). "Piped-In Christmas Music". Canuckflack. Archived from the original on July 26, 2011. ↑ Sisario, Ben (October 30, 2014). "Radio Dusts Off Mistletoe, in October". The New York Times. 1 2 3 "Ka-Chung! How All Christmas Music Doubles Radio's Ratings" by Paul Bond, 12 May 2011, The Hollywood Reporter. ↑ Insight: the All-Christmas music format phenomenon. RadioInfo.com. Retrieved December 3, 2012. ↑ "Pogues track wins Christmas poll". BBC News. 16 December 2004. Retrieved 22 September 2014. ↑ "Fairytale still the festive pick". BBC News. 15 December 2005. Retrieved 19 December 2005. ↑ "UK's most popular Christmas song revealed". Nme.Com. December 6, 2007. Retrieved December 18, 2011. ↑ "Survey Reveals White Christmas As Most Memorable Christmas Song: But Mariah Carey’s Hit Most Played" December 14, 2010 press release. ↑ "Best Christmas songs to get adults and children in the festive spirit for the party season in 2016". Mirror. 1 December 2016. ↑ "PRS for Music". PRS for Music. December 5, 2009. Retrieved December 18, 2011. ↑ Shipman, Tim; Paul Connolly and Paul Harris (December 21, 2011). Military Wives rejoice: Choir beats VAT threat as single heads for Christmas No1 with 300,000 sales. The Daily Mail. Retrieved December 21, 2011. ↑ Christmas season celebrations in Australia Australian Government official website. ↑ Merry Christmas From Australia website by 'Silver'. ↑ "1909, English, Printed music edition: My little Christmas belle / lyrics by Ward McAlister ; composed by Joe Slater. [music] / Slater, Joe, 1872-1926.". Trove. National Library of Australia. Retrieved 21 October 2013. "Seasonal Songs With Twang, Funk and Harmony", New York Times, November 26, 2010.